A good friend of mine tip me this picture of Joanna Hillman during NY Fashion Week. Joanna is definitely among those fashionable editors I look forward to see during Fashion Month. Among the many looks she had during the week it was this Red Reece Hudson clutch that drove me into a frenzy. It's no surprise especially by my tumblr that I love a great standout clutch. 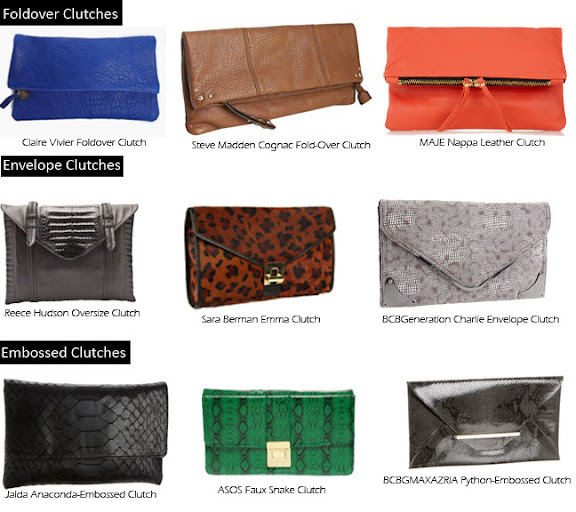 Here are a few of my favorite styles of clutches.